There's a common feeling among anyone leaving an IMAX for the first time - the feeling that "I'd love to have one of these at home!" Well, now you can, as long as you can pay $400k for it. 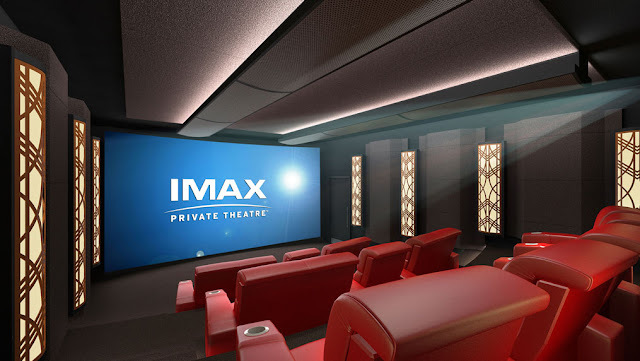 IMAX is dipping its toes into the home theater front, and will install a full certified IMAX home theater in your home starting at $400k for the basic version, good for 7-18 seats. This includes the characteristic large screen as well as a dual projector (laser 4K) system, carefully calibrated to ensure it provides an IMAX experience. Jus keep in mind this is for the basic setup. Should you wish to access the IMAX movie network, you'll need to shell out $10k more for an IMAX box, plus the rental fees for the movies you may want to see (guess that's just peanuts for anyone spending nearly half a million dollars in a home theater.) But... what if 18 seats aren't enough for all your friends? Fret not, IMAX has a bigger setup, for up to 40 seats, for a cool $1 million, that takes care of it.